Superhuman is any regular human who has discovered their Super and has transformed themselves through it. But you probably wonder, what is your Super? Where can you find your Super? Do all humans have a Super? The answer to the third question is ‘Yes’. We all have a Super because we are all a unique perspective of The Universe. The answer to the second question is both simple and complicated, the simple answer is ‘Within’ and I will explain the complicated answer later. Your Super is your uniqueness, your YOUness within you that you need to discover, unlock and embody. The creation of your Super is a mix of your genetics, your environment, the way you were raised and the choices you have made till now. It’s your special ability underneath your talent, a way of seeing the world, a mold for producing your unique fruit, a unique color you can paint with. If these descriptions seem vague it’s because your Super should be intuitively understood and sensed, not mentally defined and labeled. Your Super is what comes before your power, the taste of your power. And when you discover, unlock and embody it, you can create your Superpower. Where Can You Find Your Super? You are a simple being and a complex group of systems depending on the perspective you look yourself from. The complexity of your being creates a nexus, a center for everything that you are. This center is where you Super is really discovered. The complicated answer is that your Super is found at the center, between your Physical, Emotional, Spiritual and Mental being. It’s between the source of your Energy and Consciousness. It’s near the center of your Soul. It’s within your Truth. From the place of your Super you can sense your Wholeness and from there you can unlock and embody your Super. In order to become a Superhuman you need to discover your Super first. You need to embrace it, unlock it and embody your uniqueness. When you do this you will start living through your YOUniqueness and you will start transforming through your Super. You will embody, use and express your Super and by doing this you will start becoming a Superhuman. The complete guide and step by step blueprint of How To Become A Superhuman is something I have been working on for years. 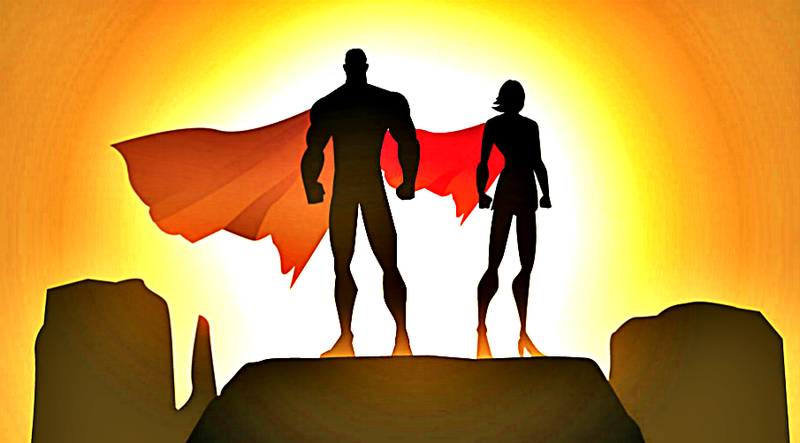 If you want to discover your Super, integrate, embody and use it, learn how to create your Superpower and how to become a Superhuman, click here.